California’s next governor and elected leaders will face critical policy decisions that have the power to uplift children and families and ensure they have the resources and opportunities they need to be healthy, educated, and financially secure. Leaders across the political spectrum have a responsibility to protect children’s health, rights and well-being. As we look to the future, it is critical for us to unite in our continued efforts to prioritize our children. 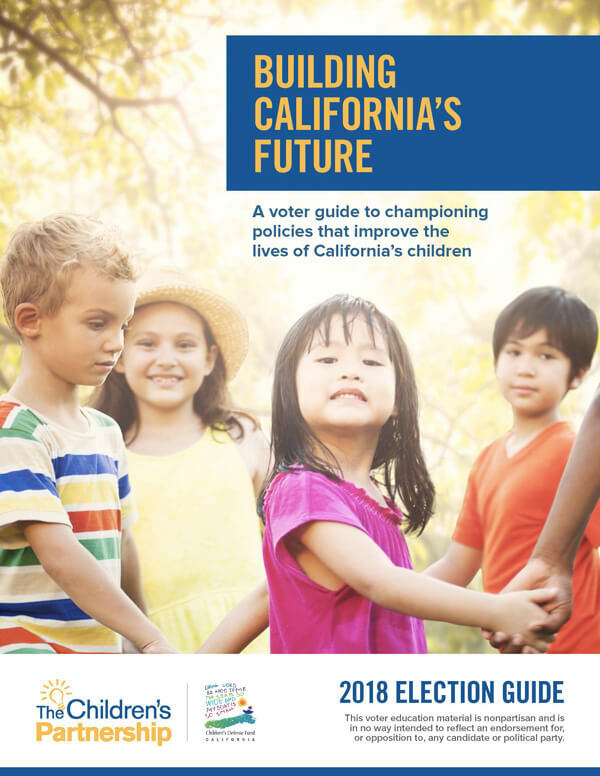 The goal of this election guide is simple: to champion policies that improve the lives of California’s children, particularly those who have been historically marginalized. We hope the information will make it easier to identify worthy candidates who understand the challenges facing children and families, and who commit to taking action to level the playing field for California’s children, particularly poor children and children of color.